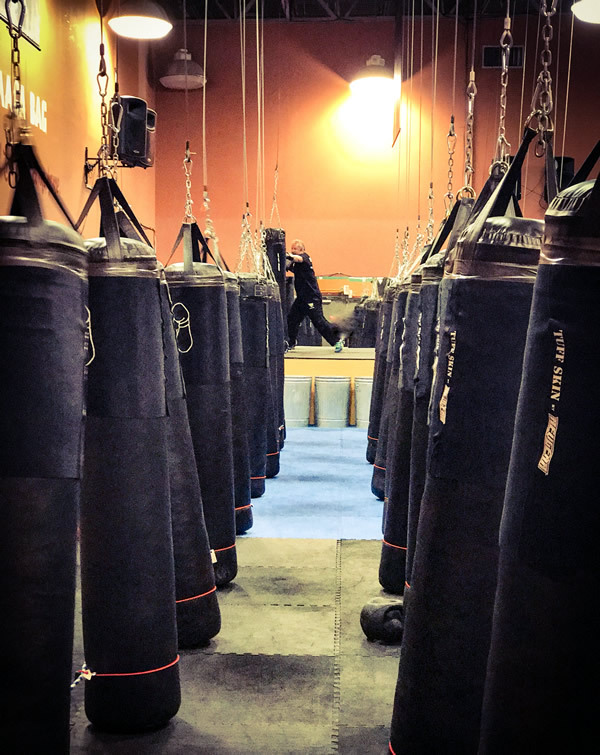 Cardio Bag is an exhilarating cardio workout exclusive to YAC Fitness, with a 6 foot tall 100 lb Heavy Bag working combatives and combinations to the beat of the music. Do you know what it is like to have to fight for your life? Have you ever felt the hair stand up on the back of your neck from a potential threat? Would you like to feel a sliver of what it would feel like to fight back? Now you can! There is no other bag class that can compare to The Original Cardio Bag class. Originated in 2002 in San Antonio, Texas, it is now available to YOU, Yakima! 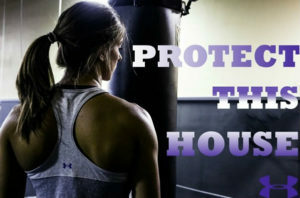 You will be coached on how to combine stance, body rotation, and proper timing all while hitting your 100 lb 6-foot-tall Heavy Bag to the beat of the music along with all-in all-out free working rounds. There is just something incredible about hitting a heavy bag. We will teach you the technique, but knowing, understanding the combatives is not enough. We will train you to be mentally tough, as well. You can only go as far as your mind will allow you. We plan to break barriers in this class and show you what you can really do. This class is designed for all ages. We are training you with the mindset that you are here to learn how to fight for your life. We know you have to program your mind and body how to fire off an effective strike when you are under the stress of facing an attacker, so we will do our best to keep you from giving up, get your hands up, elbows in, get up on the balls of your feet, and FIGHT! This bag class is exhilarating, powerful, and truly one of a kind. We cannot wait to see you here at the gym. All of our new and existing group fitness classes are included in this membership. You get unlimited Cardio Bag, KettleBell, RevFit HIT, BootCamp, Les Mills Sprint, RPM, BodyPUMP, BodyFLOW and BodySTEP. And, as with all of our memberships, you have 24-hour access to YAC Fitness for your individual workouts. A 12-month commitment is required. * Prices do not include sales tax and assume automatic billing to a credit card or bank account.